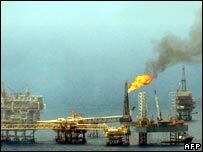 Opec members have agreed to increase oil production by 500,000 barrels a day to meet concerns about rising demand. The 12-nation oil producers' cartel agreed to support a proposal from influential member Saudi Arabia to raise daily production from 1 November. Oil prices have been touching record highs on fears of a growing imbalance between supply and demand. But despite Opec's decision US light crude settled at a record closing price of $78.23, up 74 cents. This mark is just below the all-time high of $78.77 recorded earlier this year while Brent crude closed 90 cents higher at $76.38 in London. Analysts said the rise in output had already been factored into price calculations. Until Tuesday, Opec ministers had insisted there would be no increase in supplies. This was despite warnings from the International Energy Agency, which represents the world's top 26 oil consuming nations, that additional supplies were needed to meet demand. 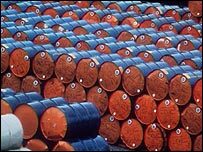 Reports suggested the Saudis were particularly concerned that persistently high prices would hurt demand for oil and eventually overcame opposition from the likes of Iran and Venezuela. "Our message to the consumer is that we care," Opec's secretary general Abdullah al-Badri said, explaining the background to the decision. Experts have suggested that an increase in Opec supplies, and the likely result that prices will eventually fall, would help ease recent US economic and global stock market jitters. "It is a very positive gesture," said John Hall, an analyst with oil firm John Hall Associates. But there are also concerns that the market could be oversupplied should any weakening of the US economy reduce demand for oil. "The risk of a global economic slowdown means that Opec might be releasing more barrels onto the market just when they are not needed," said Addison Armstrong, an analyst with TFS Energy Futures. Opec, which supplies more than a third of the world's oil, is already exceeding its set daily quotas by 900,000 barrels. Recent upward pressure on prices has been caused by a series of attacks in Mexico as well as concerns over the impact of hurricanes on oil infrastructure in the Gulf of Mexico. The dozen or so attacks on Mexico oil and gas facilities have been blamed on a left-wing rebel group.